Well, my car was clean for about a week. 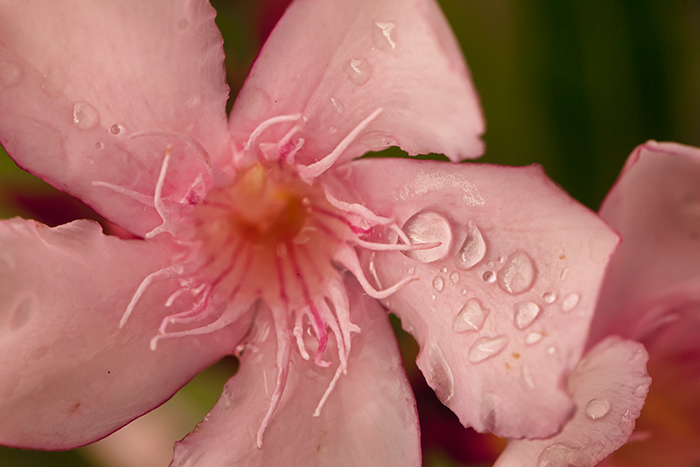 I wanted to get some water droplet shots after today's downpour. These flowers behind my parking spot at work were the easiest subjects available.